If you've visited the anti-choice space of Twitter at all within the past few days, you've most likely seen this: #PPsellsbabyparts. And if you've seen this hashtag, then you're at least vaguely aware of the fact that people are waging what The Nation's Michelle Goldberg calls "a guerrilla media war" against Planned Parenthood. Two undercover videos released by the Center for Medical Progress show anti-choice activists acting as representatives of Biomax, a fake "biomedical procurement company." The anti-choice right has gone crazy with the footage, and it has led to a pretty heated discussion about defunding Planned Parenthood. But though many threats have been tossed about, it's hard to find the basis for their validity. 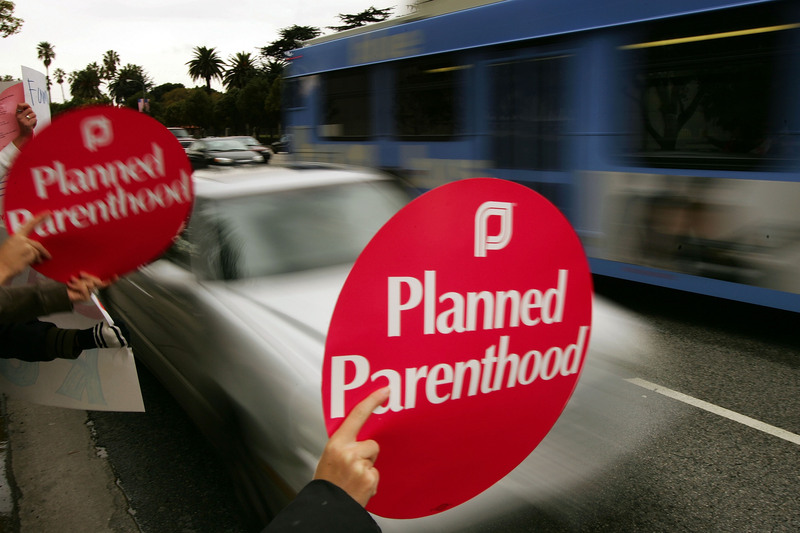 What would actually happen if Planned Parenthood were defunded? Following the release of the footage, conservative politicians made some pretty bonkers statements. Sen. Ted Cruz tweeted: "We shouldn't support a criminal enterprise selling the body parts of unborn children." Shocker. According to The New York Times, Cruz called for “an investigation of Planned Parenthood’s activities regarding the sale and transfer of aborted body parts.” Texas Gov. Greg Abbott and Louisiana Gov. Bobby Jindal have also ordered investigations in their states, reported The New York Times. But in the same breath, The New York Times pointed out that the Center for Medical Progress's video footage is a "campaign of deception" that features clips that have been edited down to eliminate statements that make clear that Planned Parenthood does not profit from the sale of fetal parts. Deceptive or not, this is creating a real discussion, but in case the anti-choice folks don't know, it's going to be pretty hard to totally dethrone the national women's health organization — Planned Parenthood's got a powerful posse. Here are the facts, according to the organization's website: Planned Parenthood has 8 million activists, supporters, and donators helping to ensure that the 72-year-old organization is able to continue its work. Their outreach programs help 1.5 million young people and adults each year. According to the CDC's National Health Statistics Report, 54 million women ages 15 to 44 (or 99 percent out of those surveyed) said they have used contraception at some point in their lifetime. In its 2013-2014 annual report, Planned Parenthood said they helped 2.7 million women at their 700 nationwide health centers. In same report, the center reported $1,303.4 million in revenue including government, non-government, private contributions, which is a jump from $1,210.4 million in the 2012-2013 report. The support is absolutely there. And if the attacks to defund Planned Parenthood actually became reality? There'd be a huge fight. Mother Jones' Molly Redden wrote that she thinks pro-choicers have a right to worry. She cited 2012, when Komen For the Cure pulled $680,000 in grants toward Planned Parenthood breast cancer screenings and education programs. Komen restored the grants a month later, according to The New York Times. But Redden also pointed out that this brought on an avalanche of support from young women in a social media campaign with #PPsavedme as its banner phrase. And in the past, Mother Jones' Jaeah Lee has remarked at the vast effects that will result if Planned Parenthood lost funding. In a 2013 story, Lee reported that when Planned Parenthood were defunded, 200,000 women in Texas lost access to the services Planned Parenthood provides, including breast cancer screenings and preventative care. So, imagine if this happened on a national scale — not good. The right-wing conservatives have jumped at the chance to use these videos as fodder to pull funding from the nation's biggest women's health organization. And though these sting videos, as Redden said, make Planned Parenthood appear to be from a "sinister outfit," let us remember that these videos are falsely represented. This ongoing chatter makes us wonder if this could actually happen: The fact that these threats are even out there is some scary business. But 8 million is a big number. So, if Planned Parenthood were Taylor Swift in her 1989 world tour and wanted to pull all of its closest pals onstage after the concert, they would have 8 million dancing, clapping, women's health-supporting allies on their side. Deal with that.